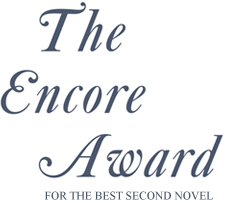 The £10,000 Encore Award for the best second novel was first awarded in 1990 and is sponsored by Lucy Astor. The award fills a niche in the catalogue of literary prizes by celebrating the achievement of outstanding second novels, often neglected in comparison to the attention given to promising first books. Eleanor Catton's Man Booker winning The Luminaries is set on the goldfields of Victorian New Zealand, where a complex network of characters are drawn together by a dark mystery.